Microprocessor-based relay for electric engines There is 1 product. 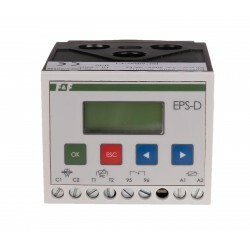 The EPS-D is intended as a safety device for 3-phase electric motors. It is extremely efficient for expensive applications where reliability is essential, like for pumps, hydrophores, elevators, transporters, hoists, fans, centrifuges, compressors, etc.